With the holidays right around the corner, it's time to start "wrapping" up that last minute shopping. Here are my top beauty products I hope Santa will stick in my stocking. Shock! 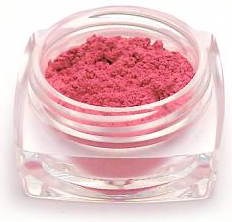 eye shadow pigment is available for $8.00 at www.spicemineralcosmetics.com. These are the closest brushes I have found that match up with my MAC brushes, and they are half the price. For $69.00 you get 6 professional quality brushes for a complete makeover! 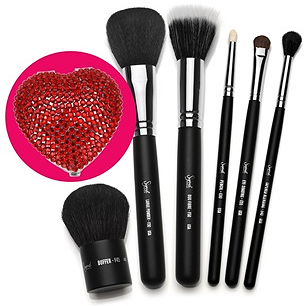 The essentials you need to apply makeup to eyes and face, plus the cute Heart Shaped Mirror, and a free travel size E25 brush is even included with this kit! Face and Eyes Kit & Heart Shaped Mirror in Some Like it Hot is available for $69.00 (on sale) at www.sigmabeauty.com. * Large Powder - F30 - Very dense with a rounded top. Ideal to apply powder products on face and body. Natural bristles. * Duo Fibre - F50 - Specially designed to generate an 'airbrushed' finish when used to apply liquid foundation. 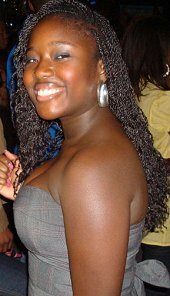 It can also be used to apply blush, highlight shades, and loose pigments. Blend of synthetic and natural bristles. * Pencil - E30 - Precise application of color on the crease, outer corner, and upper and lower lash line. Also ideal to smudge out pencil liner. Natural bristles. * Tapered Blending - E40 - Rounded and tapered top. Specially designed to apply and blend color on the crease. Natural bristles. * Eye Shading - E55 - Soft and dense with a rounded finish. Can be used to apply pressed or loose eye shadows and pigments. Ideal to build intense color on the eyelid. Natural bristles. * Buffer - F45 - Ideal to apply mineral foundation, loose or pressed powders. Also great to buff colors and obtain a soft, blended look. Natural bristles. This is by far one of my favorite blushes, as of right now. It goes on very easily and blends very well. These blushes are pretty true to the colors on the site, and at only $3.00 each you can try all of the colors. Don't let the bright color in the pan scare you off; the shades go on very naturally. Sign up for the EyesLipsFace newsletter so you can receive current coupons and discount offers. 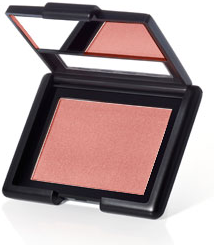 E.L.F Studio Blush is available for $3.00 at http://www.eyeslipsface.com/studio/face/blush/studio_blush. I am trying to convert to all vegan and animal free testing makeup products, and this is one of my new favorite brands. The lipstick goes on so smooth and stays on pretty long because the lipstick is so pigmented that you don't have to put on too much. It even tastes pretty good, though I don't recommend eating it (lol). Enter consultant code 2405 at checkout to get great free samples!!! 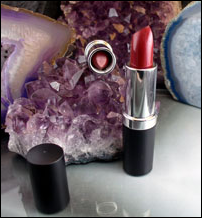 Vegan Lipstick is available for $7.00 at www.theallnaturalface.com. Now that you have all the products you need, all that is left is for you to find your right shade!! I would love to hear what you think about these products - please comment below.